Quality, custom-built european designed, German manufactured kitchens at competitive prices. The kitchen is the heart of every home, so make sure it reflects your personality and meets your exact requirements. Whether you’re renovating your existing property or building a new home, TM Kitchens can furnish you with a high quality European tailor-made kitchen that has been designed with style and durability in mind. We’ll listen to you to find out exactly what you want from your kitchen and produce bespoke 3D computerised coloured designs that bring your visions to life. Here at TM Kitchens, we believe the little things are important, which is why all of our stylishly made cupboards and drawers showcase the latest award winning designs and trends from Europe. All drawers and doors are soft closing and utilise the universally renowned brands of Blum and Hettich. TM Kitchens can oversee your renovation from start to finish, taking it from conception right through to completion. All construction, plumbing, electrical work and tiling can be taken care of too by our own licenced tradespeople. 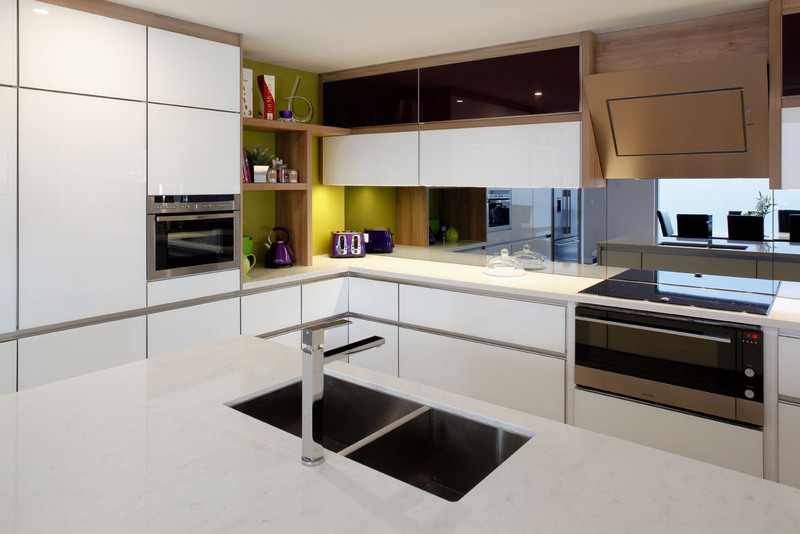 One of the many advantages of a bespoke kitchen from TM Kitchens is that it’s tailored to your individual needs. We are able to cater for the elderly and people with disabilities; we have a range of individually designed and manufactured cabinets that accommodate a wheelchair friendly layout, plus multiple working heights to suit the whole family. These kitchens have no limits, just freedom to be enjoyed by everyone. 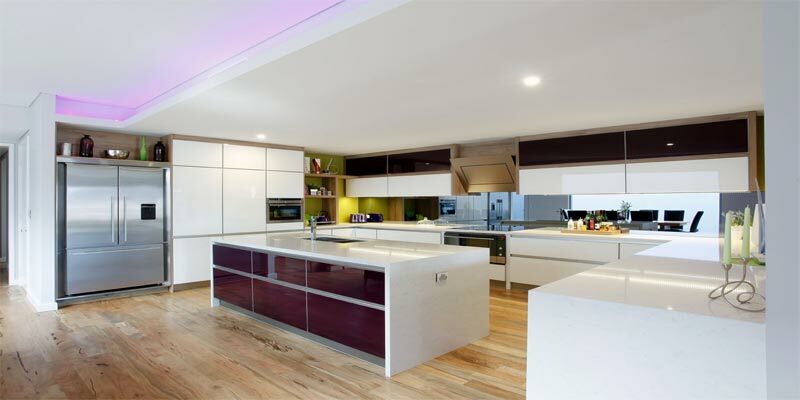 Here at TM Kitchens, we believe the renovation process should be as hassle-free as possible. We pride ourselves on offering maximum results with minimum disruption.We have access to a team of qualified and skilled tradespeople, and we’ll remove and dispose of your existing cabinets. If you’re a DIY enthusiast, take advantage of our supply only service. Our rigid carcass cabinets come fully assembled for your convenience, pre drilled handle holes and clip on adjustable plinth feet are just a few of the benefits helping to avoid frustrating flat-packed dramas and missing components like many of our high street competitors. 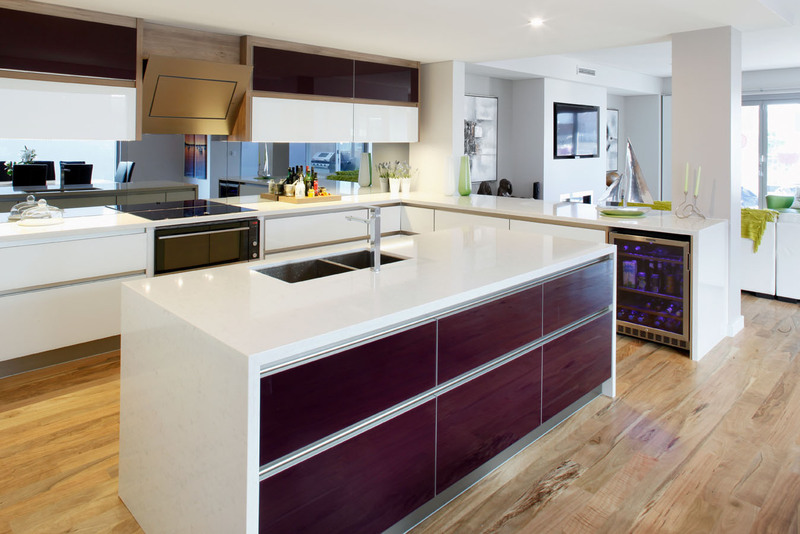 Complete your kitchen with that special finishing touch of a seamless glass or acrylic splashback; ever considered using a complementary matching benchtop upstand? Or perhaps the timeless appeal of tiles?